BuzzCanada: Woman Raped And Stabbed Repeatedly By Man She Met On Facebook Reveals His Identity Before Dying! Woman Raped And Stabbed Repeatedly By Man She Met On Facebook Reveals His Identity Before Dying! A Romanian woman who was left for dead after being raped and stabbed in the neck with a screwdriver managed to tell police the identity of her alleged attacker before slipping into a coma. Eliza Dragne, 30, met 29-year-old Nicu Alin Cristea on Facebook, where he claimed to be a humanitarian worker helping orphaned children. In fact he was a newly married construction worker who persuaded Miss Dragne to go on a date with him and arranged to pick her up in his car. Miss Dragne had kept the new relationship secret from friends and family, who had no idea where she was going. 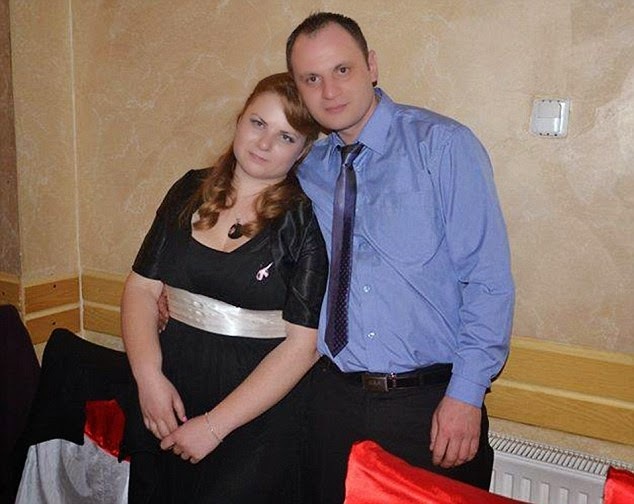 Cristea arrived as planned, but instead of driving to the bar the pair had picked for the date, he took her to a remote spot near Alexandria, southern Romanian, before attacking her, it is claimed. Miss Dragne agreed to meet him and he picked her up in his car, but instead of driving to a bar, he went into the countryside where he attacked her. According to police Miss Dragne was savagely beaten and raped, before being strangled and repeatedly stabbed in the neck with a screwdriver. Thinking she was dead, Cristea took her mobile, logged in to her Facebook account, deleted all of his messages to her, then abandoned her in a field police say. But Miss Dragne survived the attack and crawled naked through the countryside to a main road were she caught the attention of a passing driver who called police. Investigators estimate that it could have taken her as long as two hours to reach the spot after being abandoned. Friends had no idea about the relationship or the meeting, and so did not alert the authorities. Because of the extent of her injuries, officers were forced to call for an air ambulance to take her to hospital in the capital of Bucharest. While she was being rushed to hospital she managed to reveal the identity of her alleged attacker to officers riding alongside her. Shortly after arriving at Bagdasar-Arseni Hospital Miss Dragne slipped into a coma, and despite the efforts of surgeons, passed away. He initially denied ever having met the victim, but was told by officers that she had lived long enough to name him as the attacker. A judge ruled that Cristea be kept in prison for a month while police continue their investigation. Since news of the arrest, other alleged victims of Cristea have come forward claiming that they were also assaulted by him. One woman, who has not been named, said he came to her house to do some building work, but when he realised she was alone, he raped her. She claimed she was left with a fractured skull and broken hand after the attack, and was terrified that if she went to the police he would return and kill her. Rodica Dragne, Eliza's mother, 53, added: 'What can a mother feel when she sees her child like this? Why did he have to kill her and destroy her?